Here are some accounts I’ve written about prairie species I find fascinating. If you find them interesting too, please share these links with others! Camouflaged Looper – An inchworm that disguises itself with bits of the flowers it eats. Yucca Moth – A terrific relationship between a plant and the single species of moth that has the capability to pollinate it. Submarine Sora – Ever wonder why soras and other rails are so hard to find? Sensitive Briar – A plant with a koosh ball flower, thorny stems, and leaves that fold up. Pussytoes – One of the first spring-blooming flowers, and a surprisingly important resource for early season pollinators. Of Mice and Clover – A great example of the complexity of interactions in prairies. Crab Spiders – One of the great ambush predators of the world. Flies – An unbelievably diverse group of insects with a wide range of ecological roles. Grasshoppers – From their cute little faces to their complex communication strategies, it’s hard to beat grasshoppers. This entry was posted in General, Prairie Insects, Prairie Management, Prairie Natural History, Prairie Photography, Prairie Plants and tagged birds, diversity, Dr. Seuss, flowers, grassland, grassland conservation, horton hears a who, importance, insects, more than just grass, pitcher sage, prairie, prairie conservation, species, who cares about prairie, why grassland is important, why prairie is important by Chris Helzer. Bookmark the permalink. A few years ago when I worked as a teacher/naturalist at Pioneers Park Nature Center, I made it a habit when doing school nature hikes on the prairie areas to get the children to take time to simply sit or lie down in the tall grass away from other children. I asked them to “listen” to the prairie very carefully. After about 10 to 15 minutes of this exercise, I had them describe what they felt and “heard”. I wanted them to use all of their senses to get a different picture of the prairie. Like the sound of the wind blowing, or the buzzing of a bee. The distinct smell of the prairie grasses and flowers and the soil beneath them. I was interesting to hear what the students had to say, and for many, it was a challenge, as they rarely had to just sit quietly and absorb what was around them. Chris – terrific exploration of what makes us bond with anything; what makes us consider certain things valuable; Excellent. This will surely help with methods of introducing others to these wonders. Thanks. Agreed. That is an inspiring video. This is the best column you have written since I discovered it more than a year ago. Amen, brother. Keep up the good work, and know that with every post, you make this prairie boy who is living in Arlington, Va. just a little bit homesick. Well said. 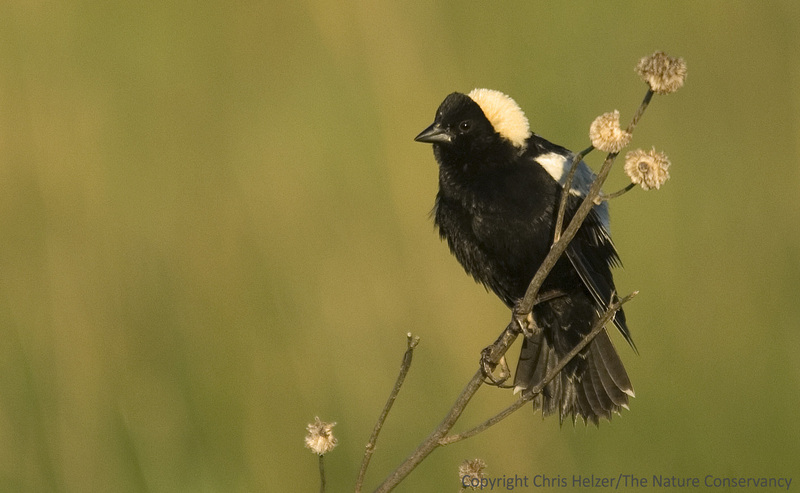 We need all the advocates for prairies that we can get. Great post and thanks for the links to earlier ones. It was good to re-read them. I’ll make this into a blog post this weekend in order to share your passion with more people and perhaps reach others who can contribute in more concrete ways. In my own journey in prairie restoration, I have found that a deepening understanding and appreciation of the richness, interconnectedness, and seasonality of native plant and animal species has had the somewhat unanticipated consequence of strengthening and broadening a spiritual awareness of creation. This awareness transcends a simple academic understanding that tends to be reductionist in terms of species lists, etc, but rather begins to penetrate the soul in a way that connects you to landscape, such that you feel like you are always missing something when you’re not there. As a result, the thought of losing the place begins to feel like a physical wound, and you find yourself expending greater and greater effort to protect it. Not really sure I have articulated this clearly, but perhpas you or some of your posters can relate. Patrick – I get it. Amen. Best statement on this theme I have seen in a long time. Thanks. I think this is partly why it is so difficult to gain advocates for the prairie, because if there is some truth to what I’ve said, it is only through experience on the prairie that you gain full appreciation for the prairie. So as advocates, it is not enough to sing the prairie’s praises or show pretty pictures (although this definitely can help), we have to get people out to engage prairies with all their senses… not just on the annual fall hike though the tall grass, but though every season. A good way to do that is through organized hiking or walking clubs, volunteer restoration workdays, etc., lead by folks knowledgeable about the prairie through its different seasons. I myself was very influenced by my experiences participating at volunteer work days at TNC reserves. At least where I live, I don’t see these kinds of opportunities publicized on a regular basis. The challenge in achieving this goal is that the prairie environment can often be quite harsh and unpleasant (hot, cold, humid, buggy, etc) which may diminish its appeal for potential visitors. Not sure how to overcome this problem. Patrick – great points. One of the challenges we have in Nebraska is that many of our nicer (and biggest) TNC-owned prairies are not close to our bigger population centers, so it’s difficult to get most people out to them. We should probably do a better job of using the prairies that ARE near those cities as opportunities to simply get people to interact with prairies. I think you came out on one hike we did at a private prairie near Bellevue? More like that would be good…. I was Chris, and that was really nice (preaching to the choir)! I agree to your assessment of the problem…big populations are not near big prairies, at least in the eastern third of the state. But we need such areas to spark people’s imagination of what is possible in restoration, and to get them engaged in that process. For example, I’d love to see a bluff to river reserve…one that encompasses high quality dry, mesic, and wet prairies as well as oak savannas in one place. We have isolated examples of each, but few are connected upland to lowland. We need a showcase. It may in fact be easier to accomplish on the Iowa side. This would require lots of collaboration with existing land owners, parks departments, federal agencies, NRDs, NGOs, etc., and of course lots of money. But big dreams can sometimes stimulate the big bucks to come. I’d be interested in knowing whether there are places you think this might be achievable along the Missouri, say within a 30-40 min drive from Omaha. In my experience, the problem is even deeper than identifying with individual species. Everyone must be educated that prairie and other ecosystems cannot be treated as commodities. People believe that if they destroy an ecosystem, they can just create more of it later. Even worse, people believe an ecosystem will just come back on its own. It does not work that way. I know this is how many people think because I used believe prairie would eventually reclaim land left fallow. I now know this will not occur. Educating those who only see new housing developments and super highways is the conservationists’ real challenge. Horton hears a who was my first introduction to nature and love of the little ones that share this planet. It is something that struck me at a very core level. I still have that very tatterd book from my child hood. John Denver was my next mentor. He loved the mountains …but he would have loved the prairie if he had the time to see them! Every one in my family are all mountain lovers. ME ……I am a prairie girl!!!! I love the wide open spaces…..the diversity of plant and animal life is so much greater than in any other ecosystem on EARTH. (except mabe in corral reefs) All you have to do is make the time to look! I can honestly say that the only one I ever found that shared my passion for the prairie was when YOU stole me away from the local nature center to pick seeds for you in 2001. I have looked the world over to find like minded people….but I have come up with very few people. And none of them really shares my passion for our “weed patches” like you did. All I find here in south central Nebraska is farmers that think they need to feed the world and beleve that if it isnt growing corn…etc…the land is wasted. And consumers. Thoes that wrap them selves in the flag to justify their consumeristic actions. I think you know what I am saying. BUT I am still trying to recute new people. Thank you Chris for the gift of knoweldge you give me. May I allways continue to learn. Great essay, Chris. You raise another big issue, one that, as a “grass-hugger” rather than a scientist, has long haunted me. I’m reminded of a presentation Fran Kaye gave at a University of Nebraska seminar a few years back, where she described how settlers defined the prairies and the plains on the basis of what was lacking—no trees, no mountains, no water, etc.—rather than on the basis of the abundance that was before their eyes. They then set out to change it all, or what I would call, re-place it. There is no evidence those responsible for this negative “framing” had much of an idea or knowledge of the features, qualities, and characteristics (flora, fauna, ecology) they proposed needed replacing. To me, this was the initial Euroamerican failure of perception in this landscape. By contrast, I just finished a project which led me to readings of diaries by those who traveled across the prairies on their way to California, Oregon, and Utah in the decade before white settlement commenced. A remarkable majority of those I read were struck by the beauty and abundance of the prairies and the Plains. How did their positive impressions get over-written by negative attitudes so quickly, and why? The answer to that has to be complex, but one thing is for certain: we, as a population, are living within the negative frames established by the failed perception and imagination, not the earlier expressions of appreciation and abundance. Changing the frame will require us to overcome 150 years of perpetuated negativity, attitudes that have literally powered our history here. As an example of the depth of the problem, I wonder if we will not be able to claim success until the population becomes more obsessed with planting native grasses than exotic trees?! Your diary-reading project sounds really interesting. Any particular diaries that were especially interesting? Thank you. There were several who more consistently paid close attention to their surroundings than others, but of those I would have to personally single out Charles B. Darwin. He was on the road in 1849, and became so enamored with exploring while traveling that he constantly fell behind his companions. He looked all around, both up close and far away, so he saw tiny flowers and eternal horizons in equal measure. A fascinating character, his prose is sometimes difficult to read and understand. Only a portion of his diary has been published so far. This post struck a chord with me as I recently moved from a prairie-depauperate state (Indiana) to a prairie-rich state (Missouri). On my way to the interview that brought me to Missouri, I slammed on the breaks and called back to Indiana to report upon the condition of the prairie along the roadsides; in short, I was astonished. I agree with Chris, naming things, watching them in the field, or in the case of plants, helping them grow, is a key component of caring about the species and where they grow naturally. I’m trying out an approach with a small rural school here in MO. We are taking the semester to experiment with best practices for germinating a handful of prairie species and then we will plant them in a garden on school grounds. I purposefully picked species that the kids are likely to see driving or on their own property. We also plan to end the experience with a trip to a prairie less than 30 minutes from the town, so that they can see where these plants are meant to live. I am hoping that the future farmers of this town might start looking at those plants a little differently. What a beautiful blog, and such a beautiful perspective. I agree that the more you become acquainted with a place and its inhabitants (human and otherwise), the more of a connection you feel with it. The draw of the prairie is different from that of the forest, mountain, or seashore, but no less spectacular. The wide-open spaces of grasslands make people feel both infinitely large and infinitesimally small at the same time, and the feeling is a most welcome one. And getting to know the prairie’s smaller plants and animals only adds richness to this experience. What is lacking now, though, is the megafauna. 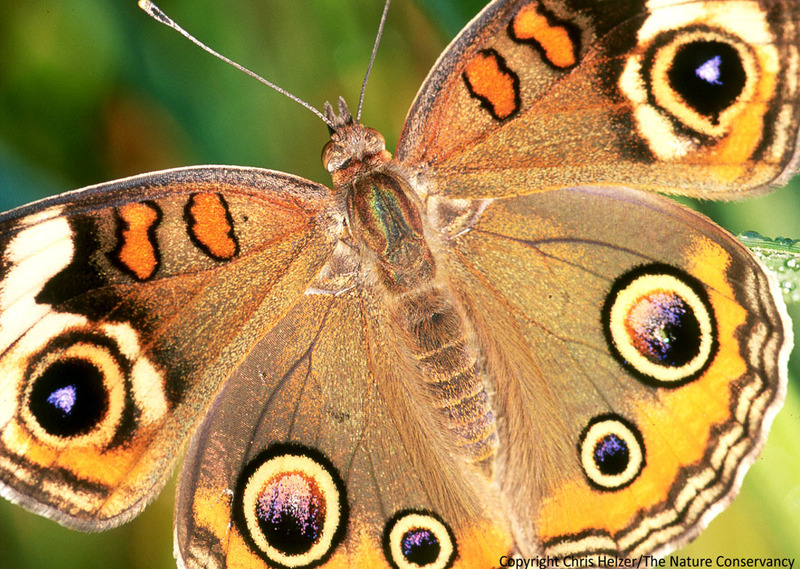 True enthusiasts can appreciate the prairie’s tiny denizens, but to the untrained eye, America’s grasslands are just “flyover country.” But there was a time when even casual observers were awestruck at the majesty of life that filled the prairie. Today, I am amazed at how people are willing to pay thousands of dollars to fly thousands of miles to see vast fields teeming with wild herbivores. I’ve seen these great herds, and indeed, they are wonderful. But it was not so long ago that our own Great Plains were home to staggering herds of bison, pronghorn, elk, deer, and horses. We have it within our capability to let them return, and all would benefit from such a change. All we have to do is let it happen. Hi Chris, I came to your blog because Allison put a link to your post about the fires on FB. I have to admit I got sidetracked by a couple other posts of yours, and haven’t read that one yet. I really enjoyed this one. I haven’t made it out to see our local prairies as often as I’d like to, but am thankful they are around. I have been out several times this summer, though, trying to see what plants grow together. I visited Spring Creek Prairie, the place where the tiger beetles are in north Lincoln, Pioneers Park, and there is a small prairie at a local elementary school. I have been gardening for many years. The last few years, I have been choosing more and more native plants. We had to have a silver maple tree cut down in our front yard a year and a half ago, and I am in the process of filling the area, mostly with native plants, but also, some that hummingbirds, butterflies, and other pollinators like. There are times I think I want it to be as close to a prairie as I can get, but I have sort of come to terms with the fact that I just need to choose plants based on what I can find, what I think will do well in our yard, and what will look nice enough and behave so the neighbors won’t decide they don’t like it. I have a nice stand of common milkweed in the parking strip, that I am surprised on one has complained about, but I never let it go to seed. I seem to be a plant collector, and am not gifted in the landscaping aspect of it. My latest blog post shows the front yard area I am working on if you are interested in seeing it. 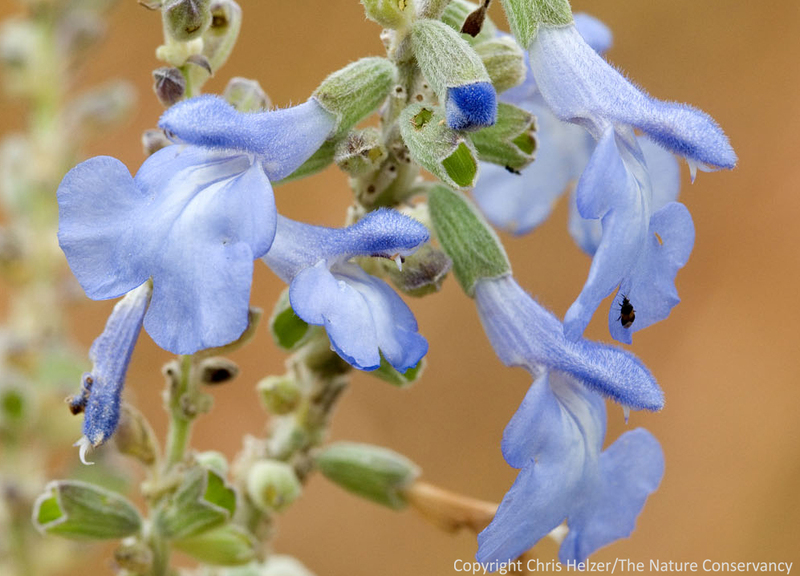 I love pitcher sage, too. I am glad mine hasn’t bloomed yet, because so many things have bloomed early this year.